Recording companies that deal in Celtic music. This list will of course have to be updated by March 17,2007. Hearts O' Space: artists include Jeff Johnson,Mychael & Jeff Danna,Bill Douglas,John Doan and Joannie Madden plus the great Celtic Planet compilation. Etherean Music: Home of Steve McDonald his debut album won the best Celtic album in New Zealand for good reason the cd version comes with data files too. Narada Music: under development this label produces some fine compilation albums such as "Heart of the Celts"
Gaelic Storm: Remember that band from Titanic yes i'm sure you do here they are. Irish Music Magazine:for news, views and more on the Irish Folk and Trad scene. 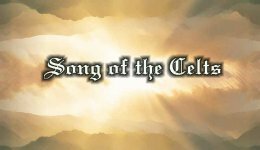 Comhaltas Ceolt�ir� Eireann:Official Comhaltas Ceoltoiri Eireann Web Site for traditional Irish Music and Culture. Harp.net:for Festivals, Summerschools, Irish Harp Organisations, Albums, Magazines and a Harp Bulletin Board. Now if you don't see your favorite celtic artist listed here don't be upset by the time i am done there should be listings for every Celtic recording label around.Now if any of you know an artist's label not listed let me know and i will place it accordingly.Celtic music can be purchased from this site now via Amazon just fill out the form below to find what you want by choosing albun title or artist or song title then in the space bar fill out the album title or artist or song title you will then be taken to Amazon where you can order your selection! New artist MySpace pages to announce! We now have links to the following artists Saratoga Faire who plays acoustic Celtic music. This band hails from New York and we urge you to give them a listen. Alquimia is lovely woman from the UK with an equally lovely voice. You can purchase her music from her MySpace page and listen to samples. I also urge you all to visit the page of the talented Victoria Lynn Schultz a harpist from Florida in the USA who is doing some shows in Disneyworld. She has cd's available on her site and you can listen to some samples as well. New Releases for June from Amazon include Celtic Women of Song a compilation cd by Essential Media Group.